Reading Nook: Middle Grade Monday | A few of my favorite reads. Middle Grade Monday | A few of my favorite reads. 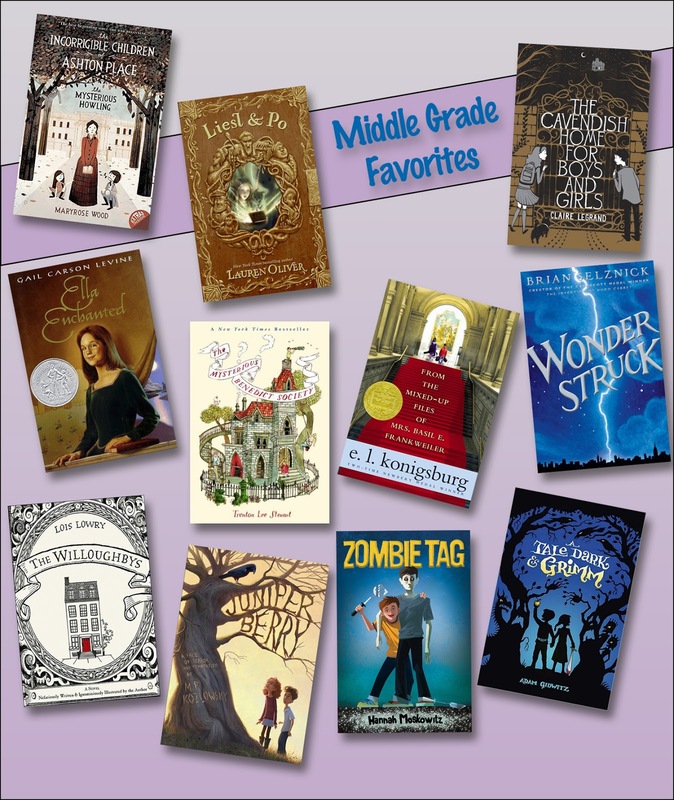 This week I wanted to share with you some of my favorite middle grade novels. This is by no means a definitive list and I'm sure I forgot a ton that I ♥! This whole series is just a lot of fun and I really enjoy it. I also loved The Spindlers by Lauren. She is just a great author. Victoria is a fantastic character and really made this book stand out. This was one of my favorites growing up. Just a great fairy tale twist. Lots of thinking and puzzles are involved with the reading of this book, which I throughly enjoy. This is a book that everyone has to read. Also, The Invention of Hugo Cabret. Honestly Brian Selznick is simply a genius. A fairly creepy middle grade story with lots of good stuff in it. I'm totally in love with Hannah and her books and this one is no exception. If you love fairy tale re-tellings, this needs to be on your list. You can check out more of my middle grade likes and dislikes here.